Fires, explosions and demolition. Piece by piece, militants are destroying Mosul&apos;s precious culture and history. Mosul was once a historic, shining picture of diversity: With Arabs, Kurds, Jews, Christians, and Muslims living in the same city. Its history stretches back at least 4,000 years, with a plethora of precious heritage that is now under attack. The city of Mosul has undergone decades of violence in war-torn Iraq; however, there are no words to describe the latest destruction by terror group, Islamic State. Islamic State (IS) in Iraq and Syria, having invaded Mosul in early June as the first stop in its sweep across Iraq, is attempting to build its own caliphate with their version of traditional Sharia laws. Half a million Mosul citizens have now fled after the fall of the city. Image Credit: Getty Images. A Christian family forced to flee Mosul. The northern city has an incredible ancient and important history vital to the identity of Iraq as a whole. Islamic State is destroying anything and everything that they decide is against their version of Islam. "They are erasing the culture and history of Mosul," said Iraqi governmental employee Abu Abaida. Members of the militant group also ruthlessly destroyed the tomb of Jonah, important to both Muslims and Christians with sledgehammers. Then, the Shrine of Yunus, which housed the tomb, was blown up. Last week, the group also blew up the Prophet Jirjis mosque and shrine, built back in the 14th century. This was just another of nearly a dozen holy sites for IS fighters to demolish. "They turned it to sand, along with all other tombs and shrines. But Prophet Younes is something different," Omar Ibrahim, a Mosul resident, told the Wall Street Journal. "It was a symbol of Mosul." The city is now also devoid of its ancient Christian community, after Islamic State expelled them earlier this month. Image Credit: AP. The now abandoned Church of Mary in Mosul, July 19. Just to tack on to the growing list, the Museum of Mosul, which holds historic sculptures, thousands of artifacts and manuscripts from various religions, is also under threat. "This most recent outrage is yet another demonstration of the terrorist group&apos;s intention to shatter Iraq&apos;s shared heritage and identity," said Nickolay Mladenov from the UN on Mosul today. 1. 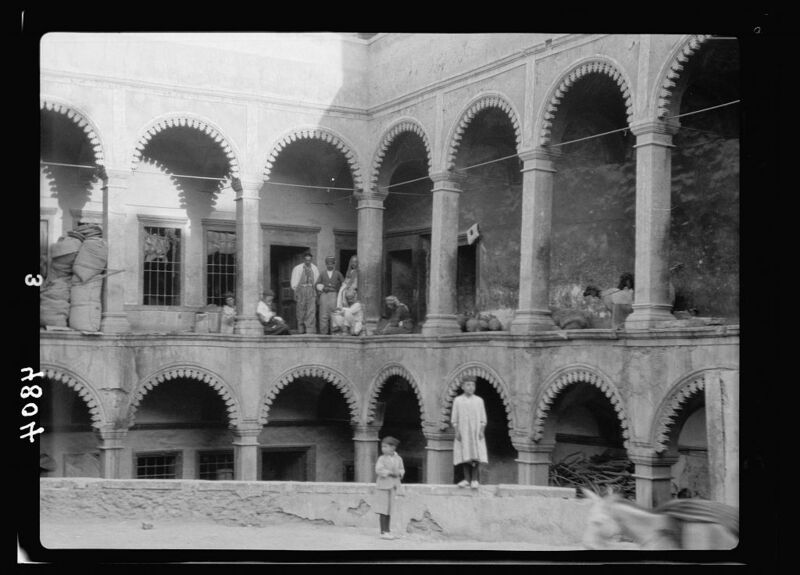 The center of Mosul, 1932. 2. A shoe market, 1932. 3. Cucumbers for sale in a market, 1932. 4. Wool washers in the Tigris, 1932. 5. Men smile for the camera at a bazaar, 1932. 6. A view of the city, 1932. 7. Aerial view of Mosul, 1940. 8. People stand in front of their homes, 1932. 9. A street scene in Mosul, 1959. 11. Tomb of Jonah, between 1950 and 1977.